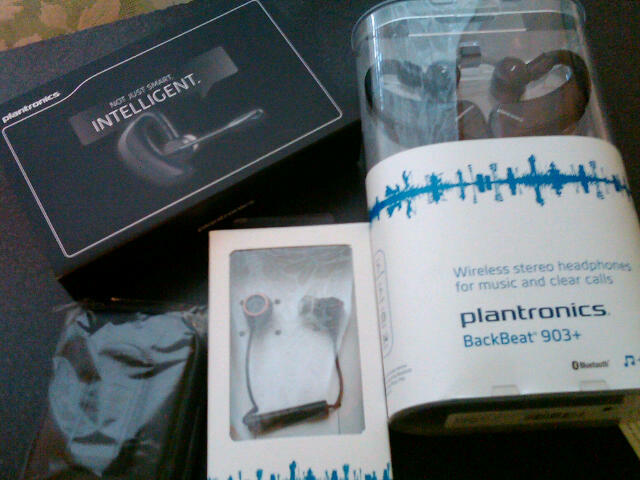 Thanks to Ray Kwan with Plantronics, I’m officially equipped in time for travel! I just got the Voyager PRO HD, BackBeat 903 and BackBeat 216. The BackBeat 903 Bluetooth Heaphones are my favorite so far! Wireless Skype calls and music listening through my iPad. Just made it just a little bit easier!